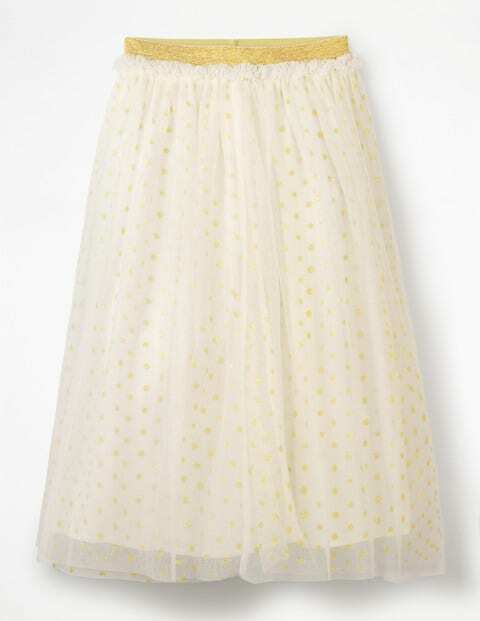 In this magical skirt, budding ballerinas can perfect their pirouettes at parties. It's made from floaty tulle netting, which twinkles with gold dots and is layered over a full lining. The metallic elasticated waistband is emphasised by a dainty ruffle detail. Neat gathers create a full shape that adds movement when dancing, twirling and whirling – we recommend all three.